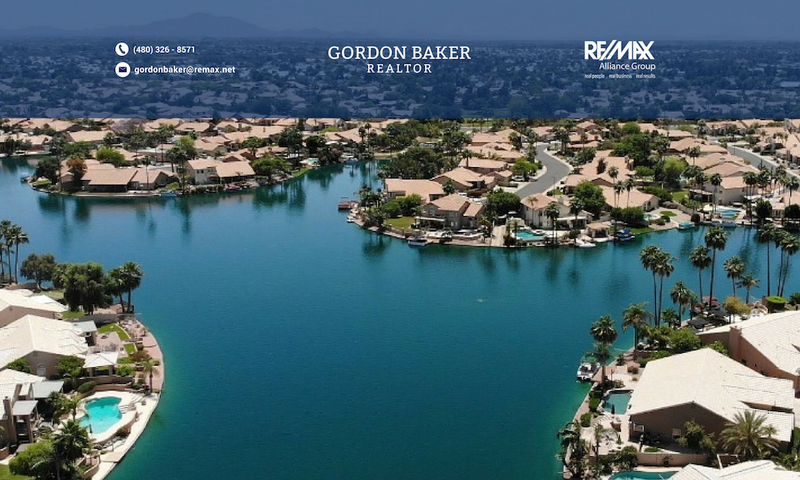 While there are very few true waterfront homes in Fountain Hills, many condos and single family homes are strategically positioned to take advantage of awesome views from the back patio or front porch of a world famous fountain that shoots up over 300 feet every hour. These Fountain Hills lake view homes are a unique phenomenon in a community that has some of the most scenic mountain views in the valley. History of Fountain Hills, Az. 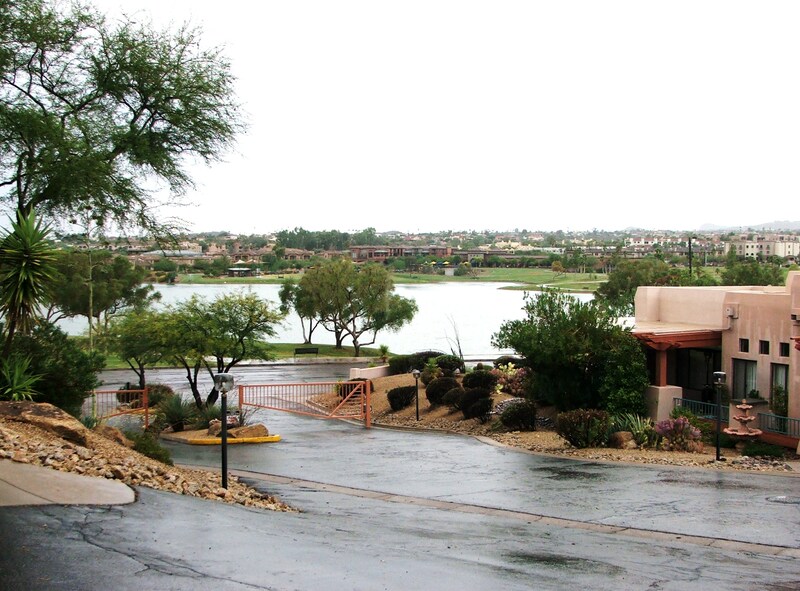 Fountain Hills was founded on Dec. 15, 1970, and the city was incorporated on Dec. 5, 1989. The town covers approximately 20 square miles, or 13,000 acres. The terrain in Fountain Hills ranges from 1,525 feet to 3,160 feet above sea level. 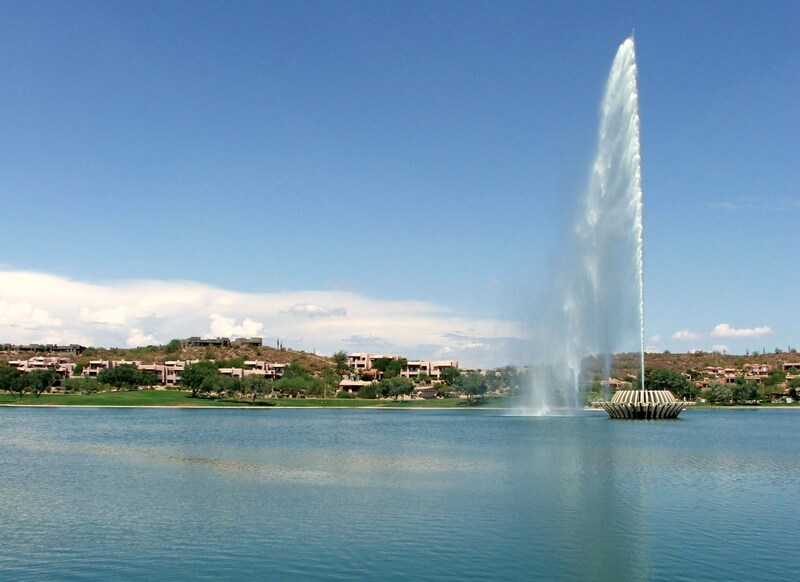 C.V. Wood Jr. was the developer of Fountain Hills and is responsible for the world famous fountain from which the town takes its name. The fountain operates daily from 9 a.m. to 9 p.m. every hour on the hour. The lake covers 33 acres and holds approximately one million gallons of water. 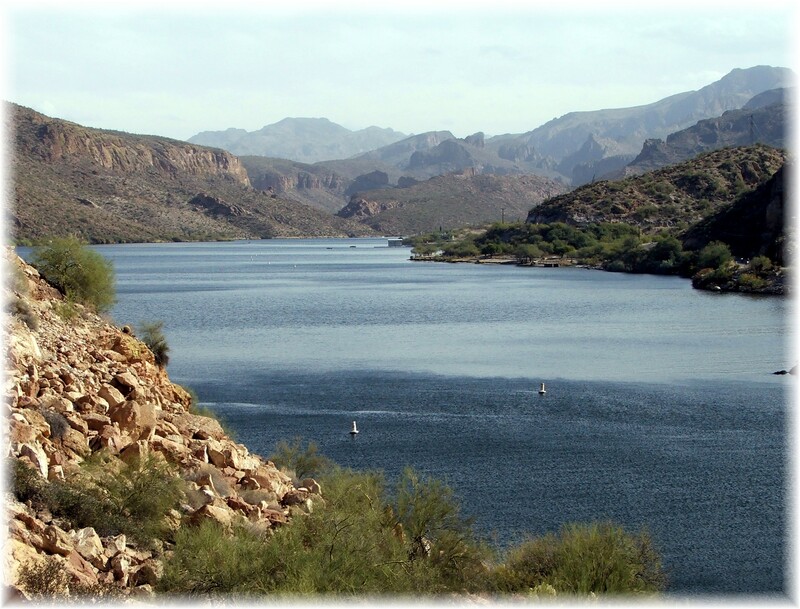 Boating enthusiasts and fishermen will particularly enjoy the proximity of Fountain Hills to Saguaro Lake, one of the SRP managed reservoirs that store water for the Phoenix area. From downtown Fountain Hills, Saguaro Lake is less than 20 miles away. Two other east valley reservoirs offer boating options; Canyon Lake and Bartlett Lake. If you prefer to get away to cooler climates and do some camping, Payson and the Mogollan rim are about an hour to the north on the Beeline Hwy. 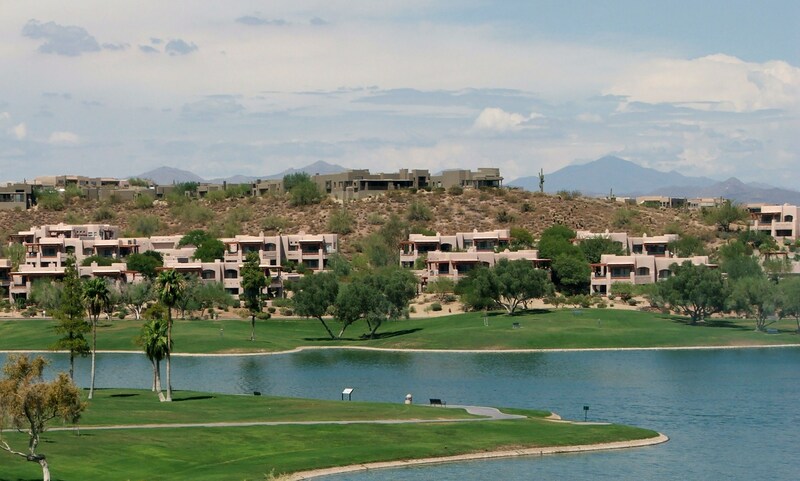 To receive Fountain Hills Lakeview property for sale, click on receive Fountain Hills listings automatically. Or feel free to contact me directly. For additional information regarding Phoenix real estate, go to My Home In Az.com. Wow this is a great resource.For Luxury Homes, Waterfront Homes and Lakefront Homes at Knoxville check it out at http://www.starliper.com. Wow. These homes are beautiful. I love living in Fountain Hills. I wish I had a lakefront home to even further get to experience the beauty of this city. Thanks for the great article.